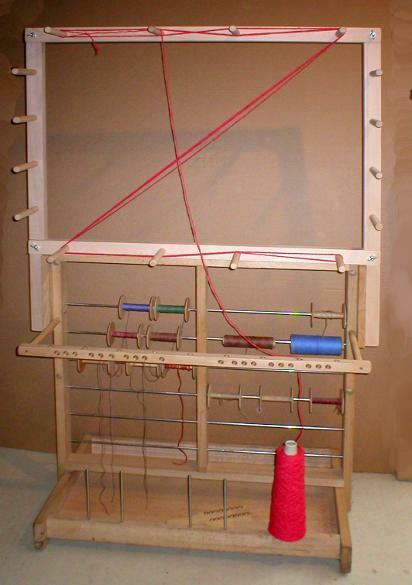 The first thing you have to do when you want to weave, is making the warp. 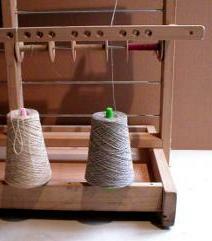 The warp is the set of lengthwise yarns that are held in tension on a frame or loom. 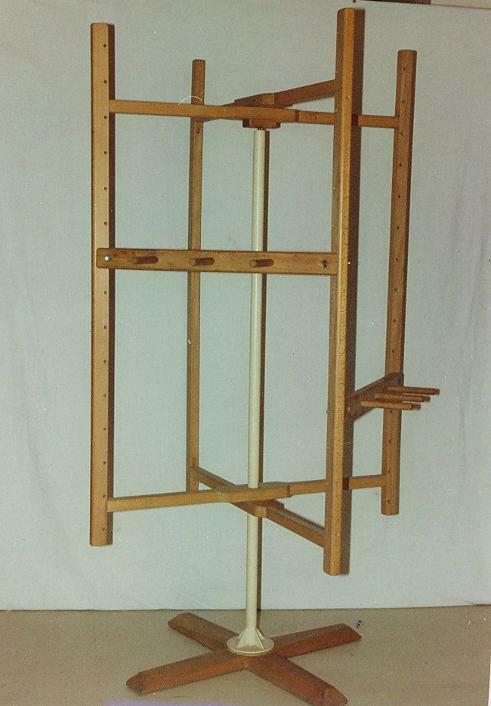 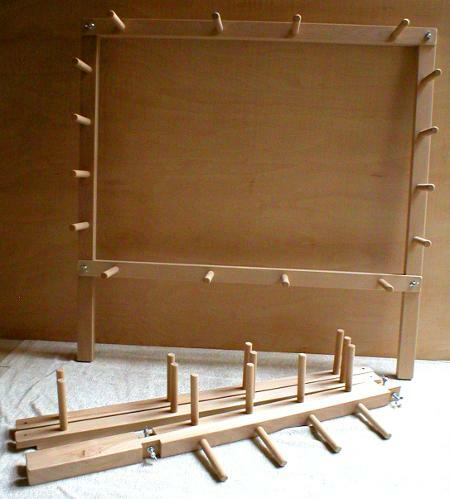 This set is made on a frame with wooden pegs, called warping frame. 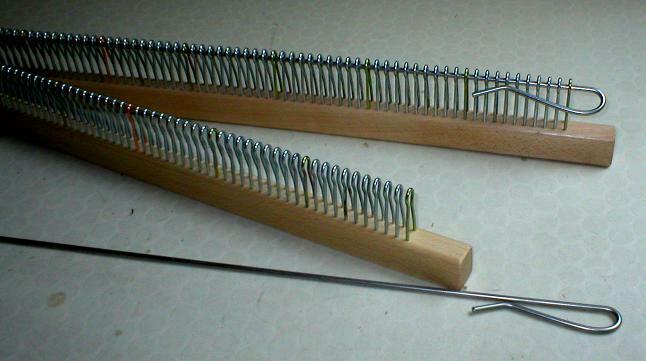 Using 2 warping posts, fasten on table with clamps, you can make a short warp. 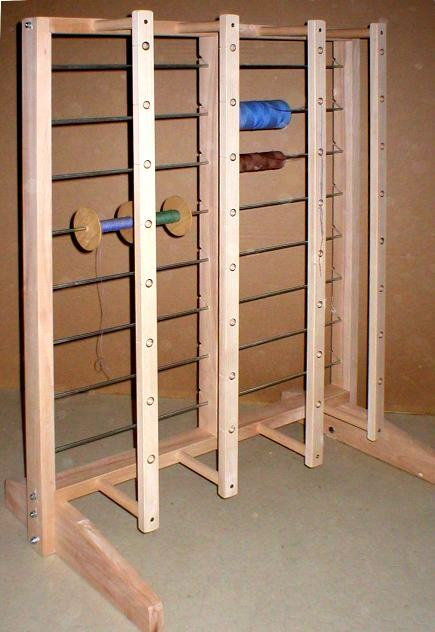 For a very long warp, or with lots of fine threads, you can think of a warping mill. 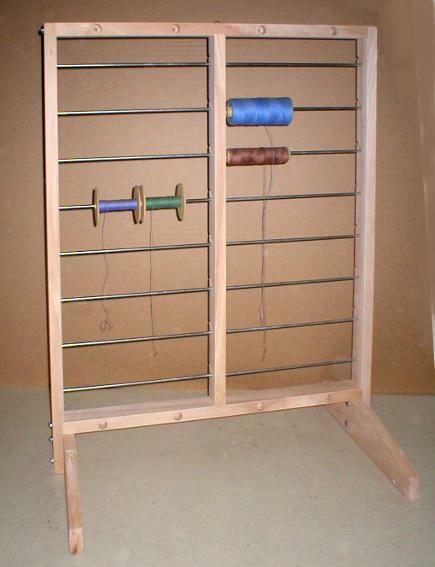 If you do not thread by thread, but will warp several threads at once, you may require a bobbin rack , bobbins and paddle. 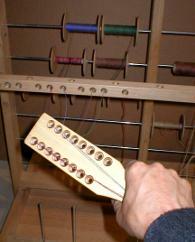 The second step you have to do, is winding up the warp on the warp beam of the loom. 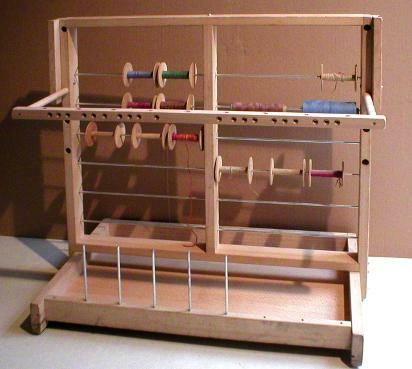 To spread uniform the warp threads on the warp beam, we use a raddle.